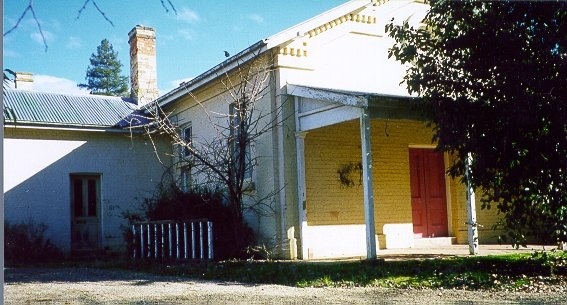 Bright Court House is a single storey brick building constructed as a court of petty sessions for the Buckland goldfields in 1861 to a design by the Public Works Department architect JJ Clark. Bright Log Lockup is a small building of horizontal log construction with a shingle hip roof covered with corrugated galvanised iron, located at the rear of the court house. It was built in 1860 and moved to its present position in 1873 from the former Police Camp. Bright Court House and Log Lockup are historically and architecturally significant to the State of Victoria. The Bright Court House and Log Lockup are historically significant because they are associated with the early history of law and order in Victoria and with the extension of centralised government to the goldfields towns as they were established in the 1850s and 1860s. The Bright Court House is historically significant as a rare and intact example of a small country goldfields court. It was a symbol of the extension of the power of the State government to impose justice on a small and remote goldfields community and demonstrates in its fabric part of the story of Victoria. The Bright Court House is architecturally significant as a small scale public building designed by the notable Public Works Department architect, J.J. Clark. 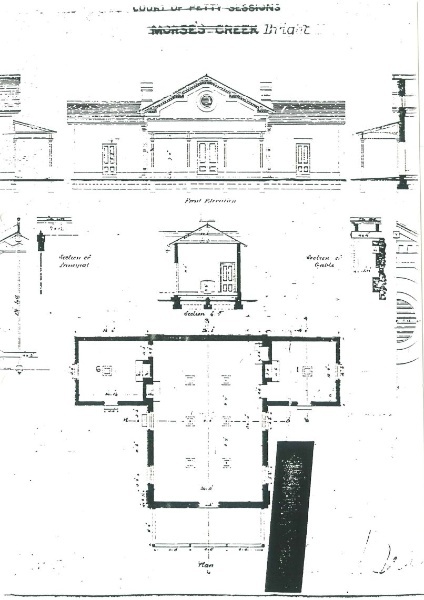 The Bright Court House is architecturally significant in that its design was the prototype for at least 20 other court house in the State in terms of plan form, massing and the style of the front elevation, especially the treatment of the court room gable and the front verandah. The Bright Log Lockup is architecturally significant as a rare example of primitive log construction in Victoria. It is of State significance as a rare example of a particular type of vernacular building construction seldom used in Victoria. Its log construction was a response to the necessity of providing secure accommodation for prisoners where there was a scarcity of building materials. It gains added significance in its relationship with the adjacent court house of similar date. 1. 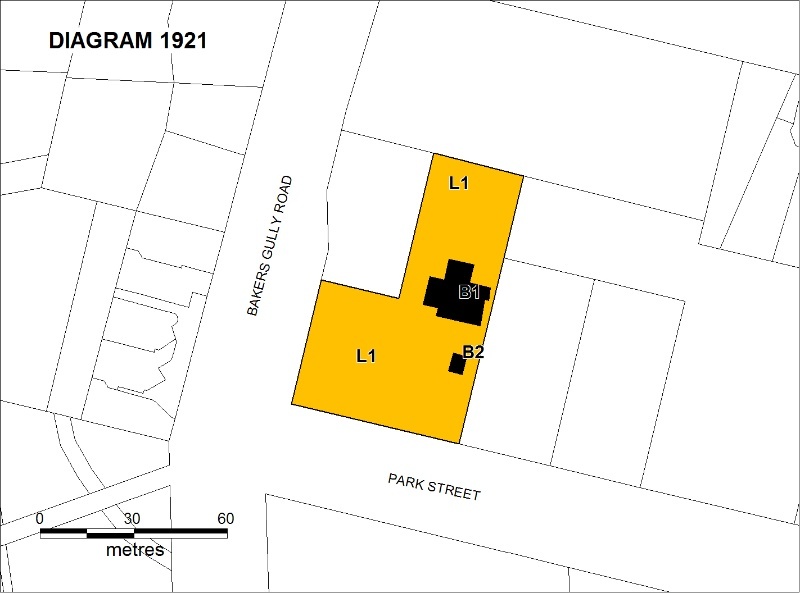 All of the land marked as L1 on Diagram 1921 held by the Executive Director, being the land known as Crown Allotment 2005 Township of Bright. Clark, John James , 1838-1915 was born in Liverpool in January 1838, educated at the Collegiate Institute there and migrated to Australia in 1851. On 26 April 1852 he joined the Public Works Department of Victoria. He visited Europe in 1858, and returned to Melbourne to design and supervise the construction of the Treasury Building. He continued to work in the PWD until 1879 , when he went into private practice in Melbourne, winning several architectural competitions. In 1881 he set up an architectural practice in Sydney in partnership with his brother, and continued to win competitions for several town hall designs. In 1883, he became Government Architect for Queensland. In 1886 he recommenced private practice. In 1896 he was appointed in charge of Hospitals and Asylums in the Western Australian Public Works Department. He moved back to Brisbane in 1899 and continued to enter architectural competitions for major buildings such as that for the Melbourne Hospital, for which he was awarded the second prize and the contract. The Bright Court House is one of a group of small court houses constructed in the initial phase of court building by the newly formed Public Works Department of Victoria. Clark was responsible for the design of six courts. The first was Williamstown (1857), now demolished. Port Melbourne, constructed in 1860, is the earliest Clark design to survive and is on the Heritage Register. (H1318) Two other designs by Clark, both dated 1863, are on the Heritage Register: these are at Kilmore (H1471) and Newstead (H1705). The remaining Clark design was constructed at Rutherglen in 1863 but its facade has been considerably altered. The Bright Court House was erected in 1861 as the court of petty sessions serving the Buckland gold district. The design was prepared in the Public Works Department by J J Clark. The contractors were Greig and Wilson. The original design consisted of two offices for the Magistrate and Clerk of Courts set back on either side of the main court room. The building was extended in 1862 to provide a warden's office. A separate building at the rear provided quarters for the courthouse keeper in 1862. Further additions were made at the rear in 1866 for other government offices. Later minor changes included the provision of a toilet in 1974. The Bright Log Lockup was constructed in 1860 next to the police station (demolished). This was reported in June 1860 in the Ovens and Murray Advertiser (Lloyd and Nunn p. 40) It was relocated from its original position in the Police Camp to its present site behind the Court House in 1873. 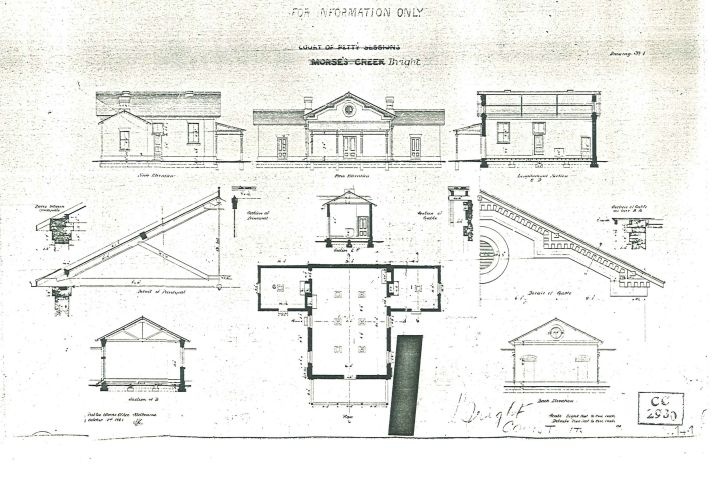 This court of petty sessions for the Buckland goldfields in 1861 was designed by Public Works Department architect JJ Clark. The Log Lockup (1860) is a rare example of primitive log construction. 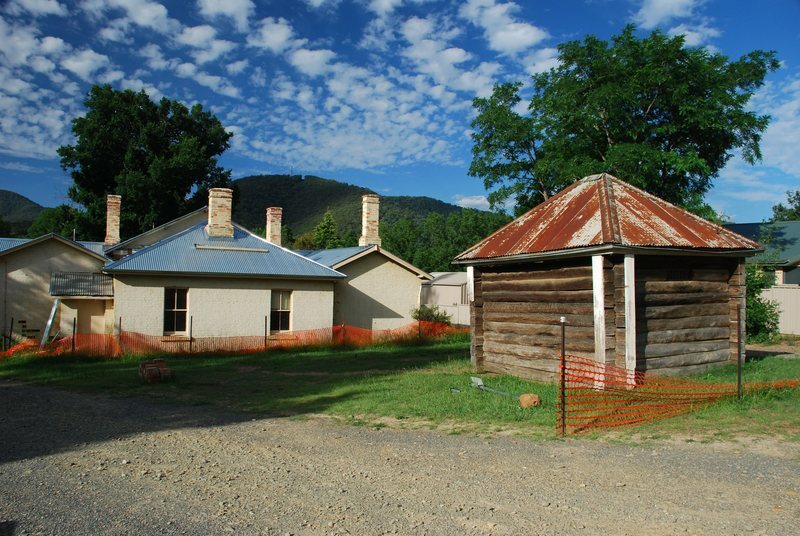 The Bright Court House and Log Lockup are associated with the early history of law and order in Victoria and with the extension of centralised government to the goldfields as they were established in the 1850s and 1860s. 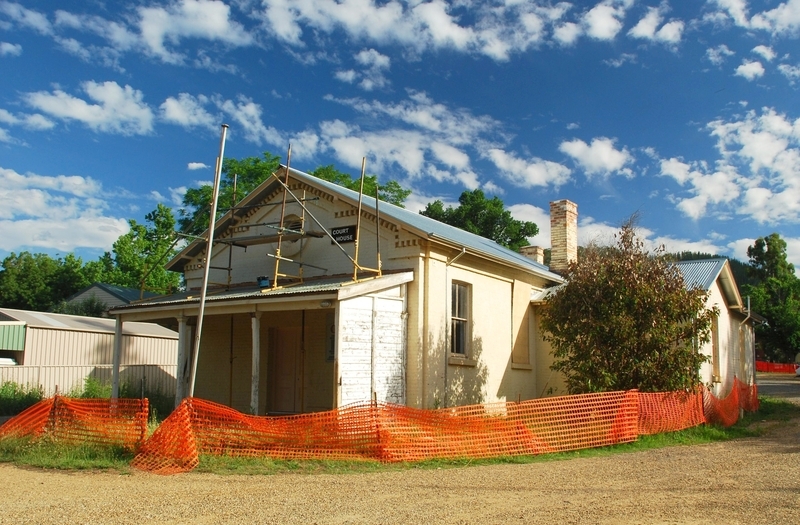 The Bright Court House is historically significant as a rare and intact example of a small country goldfields court. It was a symbol of the extension of the power of the State government to impose justice on a small and remote goldfields community and demonstrates in its fabric part of the story of Victoria. The Bright Court House is a rare example of a small public building designed by the notable Public Works Department architect, J. J. Clark. 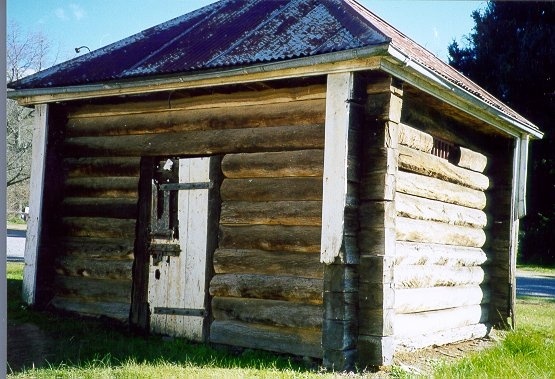 The Bright Log Lockup is architecturally and historically important as a rare example of primitive log construction in Victoria. It is of State significance as a rare example of a particular type of vernacular building construction seldom used in Victoria. It gains added significance in its relationship with the adjacent court house of similar date. Its log construction was a response to the necessity of providing secure accommodation for prisoners where there was a scarcity of building materials. The Bright Court House exhibits the principal characteristics of a nineteenth century court house intended for a court of petty sessions. The Bright Log Lockup is representative of the log lockups constructed on the Victorian goldfields in the 1850s and 1860s to secure prisoners. 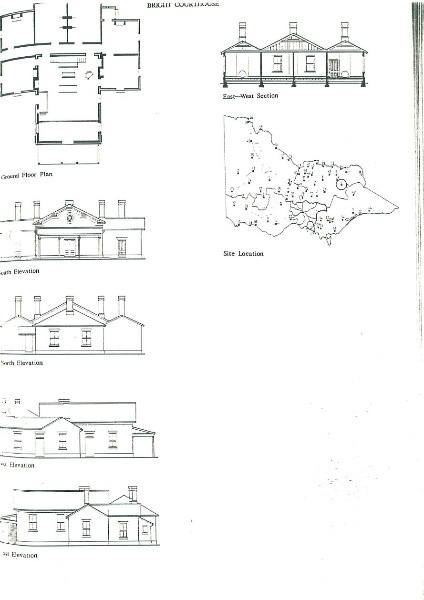 The Bright Court House design was the prototype for at least 20 other court house in the State in terms of plan form, massing and the style of the front elevation, especially the treatment of the court room gable and the front verandah. It is the purpose of the permit exemptions to protect the cultural heritage significance of the Court House and the Log Lockup, which derive part of their significance from their siting in a prominent position overlooking the valley and from their proximity to one another. The use of the Court House as a theatre has to some extent detracted from the significance of the building, as the interior including the windows has been painted black and the court fittings removed although they have been retained within the building. A change of use which returns the building’s interiors to their original state would be preferred. Although the lockup is not in its original location, it was moved only from the temporary Police Camp to the permanent government reserve in 1873 and in its current position, continues to demonstrate the way the court and the lockup operated.The log lockup is one of a very rare group of buildings in the State. It is important to protect as many of the seven still extant as possible, because of their historical importance and their physical vulnerability.